Preferred Topics: Her Next Chapter promotes girl empowerment in many ways. For example, we commonly discuss and share articles about healthy girlhood, female leadership, reading, media literacy, and strong mother-daughter relationships, and the important role of fathers in daughters’ lives. We also discuss various topics in parenting, education, child development, and pop culture, all with a special focus on girls. If you are unsure if your idea is a fit for the mission of Her Next Chapter, you can always run it by me first. Crowdsourced fundraisers and other self-promotional posts may occasionally be allowed when deemed an exceptional fit for our mission, but if I get too many of those, I may have to say no to all of them. Length: Attention spans are short, so 500-800 words is best, but longer pieces will be considered. Content Requirements/ Republishing Policies: Articles must be your original work, copyright-free, and not previously published elsewhere on the web. However, if your piece is run as a guest post on Her Next Chapter, you may repurpose it after three or more days, with a link back to the original. Plagiarism is obviously not permitted. Citing Sources: When quoting others or referring to work that is not your own, please cite your sources accordingly, or use hotlinks. Link Requirements: Links are allowed within your post if they are relevant and not excessive or spammy. I reserve the right to strip out links that I deem inappropriate or manipulative. I also reserve the right to add links in places where they will improve the post. Image Requirements: If you use any photos or videos within your guest post, they must be credited properly. Lead Image for Social Media: I will choose something that is license-free from Creative Commons, but in some cases may request or accept your own photo for that purpose. Formatting Preferences: I’ll be pasting your content into the Her Next Chapter blog post template, which you see here. I prefer to receive it by email as a Word doc with any images both embedded in the document where you want them to go, and also attached separately to the email. No need to pitch me—just send the completed post unless you are concerned your idea may not be a fit, in which case, do run it by me before spending time writing it. Byline & Head Shot: Please include a short bio of two to three sentences and a recent, high-resolution head shot. You may include links to your website and/or social media. Your byline and head shot will appear at the end of your post, but you will also be introduced as the guest author at the beginning of the post. Editorial Policies: I reserve the right to edit for grammar, spelling, formatting, content and other factors. I will run edits by you for your approval before publishing. If, upon publication, either of us sees a typo or other necessary minor change, I can edit after the post has gone up. How to Submit: Please send your submissions to Lori Day at lori@motherdaughterbookclubs.com. Review Process: I will read your submission as soon as possible and get back to you with an answer, as well as any edits I’d like if the piece is to be published. I do not expect professional-level writing, but the writing needs to be readable. If your submission is inappropriate for Her Next Chapter I will explain why. If it needs improvement, I will try to offer suggestions that might allow future publication, or at least not leave you wondering why it was turned down. If the reason I turned it down is that it is too rough and would require too much of my time for revisions, you can always find other editorial support and resubmit when the piece is in better shape. 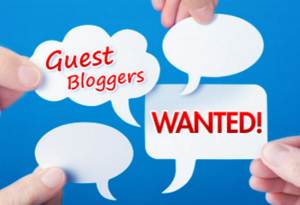 Are Guest Bloggers Paid? : I’m afraid not. My site is not monetized. I make no money on it myself. Guest blogging for Her Next Chapter will give you an audience of 7000+ people, and I will promote you, but it’s really just an opportunity to write and be heard. None of us can eat exposure, I know. 🙂 If I ever figure out a way to monetize HNC, I will pay for guest posts, but unfortunately, at this time it is not possible for me. Expectations for Accepted Posts: When your post is live, I will send you the link by email, and I will share the post on Facebook and Twitter. You are expected to share it on your own social media platforms, whatever they are. Please remain attentive to your post on Her Next Chapter’s Facebook page for a couple of days, or as long as it seems active. Participate in comment threads on Facebook and directly on the post itself; like and retweet people’s tweets; acknowledge shares, and so forth. If you have a website that allows you to archive the guest post, please do so. Disclaimers: I reserve the right to refuse publication, remove blog content after publication, shut down comments, or in any other way maintain control over Her Next Chapter’s content and reputation. These guidelines can change at any time. Thank you for considering sharing your voice with the Her Next Chapter community. Our village is going to be even better!